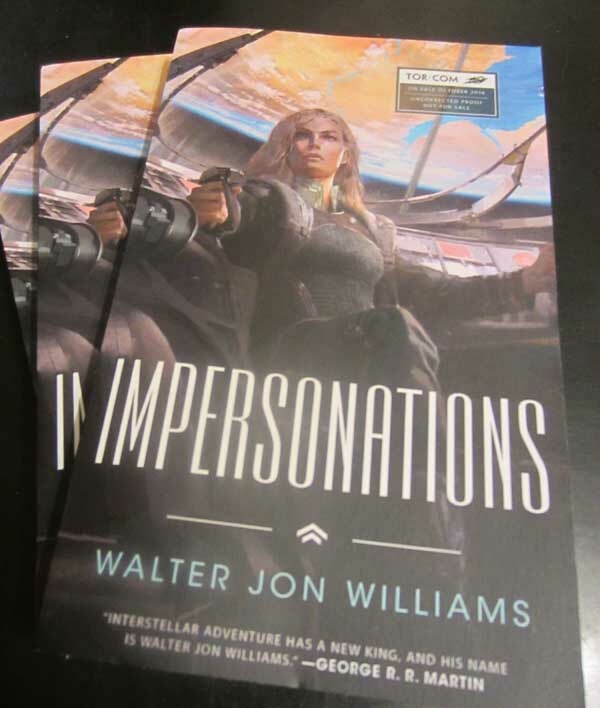 There’s a lengthy excerpt of my new Praxis novel Impersonations available at Tor.com. Please feel free to drop everything you’re doing and read it. Awesome! Do you know if there’re any plans to record an audiobook for Impersonations? I’ve gotten addicted to listening to books while doing labwork. I’m working on the audiobook side. The other Praxis audio books seem to be doing well, so that’s more reason for them to buy this one! Will this book be available at Smashwords? You mentioned a long time ago that you keep more money from a Smashwords sale than from sales on other sites. Something I wondered upon reflection, what lead to the Praxis? Did you want to make a point about totalitarian systems growing senile and forgetting what they were about in the first place, as you did in Dinosaurs, or was this a tool deployed to preclude the possibility of the universe turning into just another run-of-the-mill “heroes whip up last-minute magical gadget that solves the central conflict” deal? kpacheneg, that’s a sufficiently interesting question that I think I’ll write up a separate post to answer it. Look for it in the next little while. The book won’t be available at Smashwords, because it’s being marketed by Tor.com and not by me, and Smashwords is set up for indie publishers, not the Big Five. It starts at the beginning and ends on a high note. What more do you want?